Two of the worlds largest trade show gift fairs took place last week and were as huge as ever. Canton Fair's second phase was all focused on consumer goods, gifts and home decoration, with gifts being the main interest. As for the Hong Kong Gift fair this was focused on gifts and what can be offered as promotions to customers and companies. 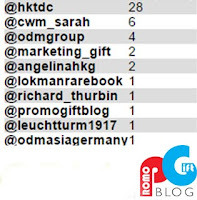 Promogift blog have followed both of these trade show gift fairs closely and gathered information from 100's of tweets. After analyzing this information we created the following word cloud, with the number of mentions being represented by the size of the word. 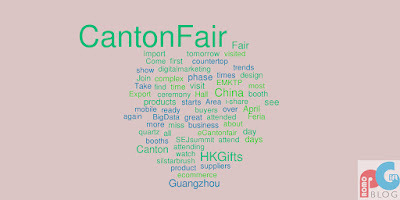 As you Can see the most popular words used were both the names of the trade show gift fairs: "Cantonfair" and "HKgifts". 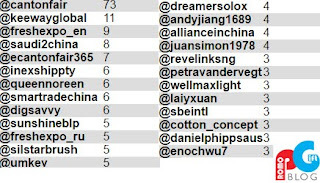 With these results however it shows that Canton Fair has been more popular online socially due to the larger text in the cloud. Other Relevant words that seemed to stand out in the word cloud were "digital marketing" and "big data" suggesting that gifts and the way in which people were interacting with booths and other exhibitors are progressively becoming more digitised. 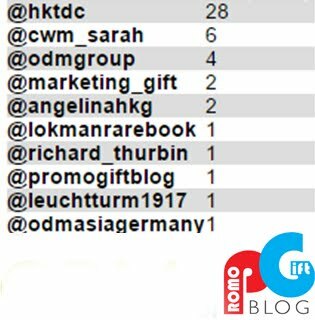 While following the hashtags #cantonfair and #HKgifts, we also tracked down the top tweeters of these trade show gift fairs. 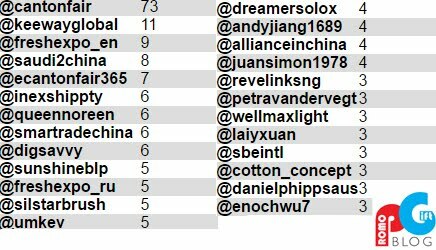 As cantonfair was more popular over social media we have taken the top 25 tweeters where as only the top 10 tweeters where taken for Hong Kong Gift Fair. Canton Fair Tweeters: Hong Kong Gift Fair. Canton Fair is the largest trade fair in China. it has the largest assortment of products, the largest attendance, and the largest number of business deals made at the fair. 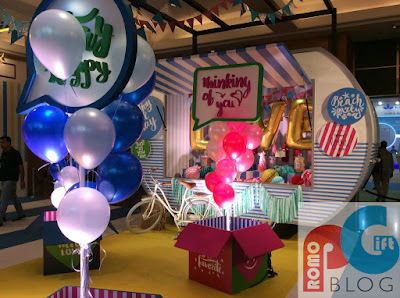 They even had a special section in hall 1 this year, "World of Gift Idea" – highlighting a huge array of trendy, top-class gift products in deluxe booth that was a huge attraction to all new and old attendees. While not as big as Canton Fair, the Hong Kong Gift fair is staged annually in Hong Kong Convention and Exhibition Centre and is an exciting and huge business-to-business event presenting a diverse range of electrical products from around the world housing it all under one roof. It provides a unique opportunity for the whole global electronic industry to meet, network, negotiate and conduct business. The major difference between these two Trade Show Gift fairs are the visitors. Canton fair is aimed at a larger market who are interested in gifts and the supply of promotional and non promotional gifts. On the other hand Hong Kong Gift fair targets those more specialised in the industry, either being involved in it themselves or regularly purchasing these type of products. 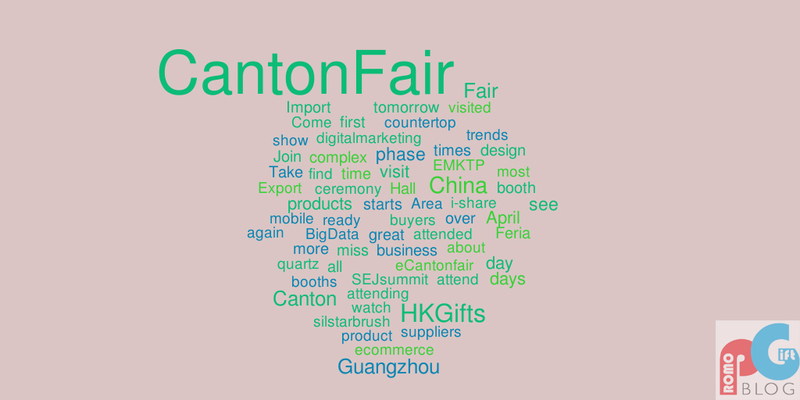 PromoGift Blog would Like to thank both CantonFair and Hong Kong Gift Fair for some fantastic trade shows and we look forward to what is in store next.